Genuine Kia Rio Tailored Carpet Mats. High quality velour mats providing stylish floor protection that keeps the interior of your Rio looking clean and new. 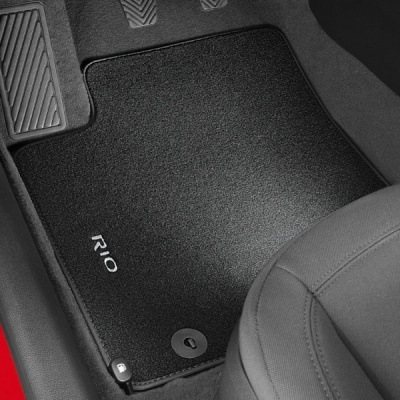 Tailor-made to fit the footwells perfectly, these Kia Rio mats are held in place by 2 standard floor fixing points on the driver's side and feature an anti-slip backing. Embroidered with the Rio logo.